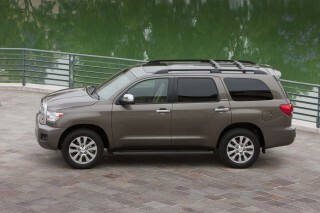 If it's cargo space you're after, nothing satisfies like a Suburban. Can you handle slightly less in exchange for easier parking? 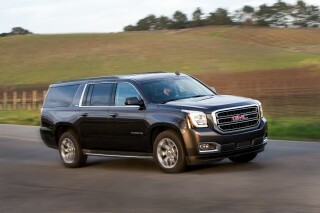 Then it's the shorter, more maneuverable Chevy Tahoe (or GMC Yukon) you need. The 2017 Chevy Suburban is the ne plus ultra of SUVs; it'll tow up to 8,300 pounds and carry up to nine passengers without a fuss. Chevrolet can claim it started the whole SUV movement with the Suburban. The nameplate arrived in the 1930s, which means the biggest Chevy utility vehicle is one of the oldest vehicles on the market today. The current Suburban is completely up to date, though. Revamped for the 2015 model year, it's sold in LS, LT, and Premier trims. 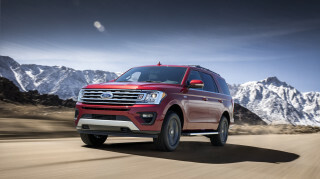 In all of them, it's a towing and hauling champion, with extreme interior space to boot—and a big dose of connectivity for long road trips and on-site job needs. All sport angular sheet metal, pressed and creased with steam-iron precision. Inside they're a bit more suave, with soft-touch trim, big touchscreen interfaces, and wide center consoles (on most versions). In Premier trim, they're luxury vehicles without the luxury badges. 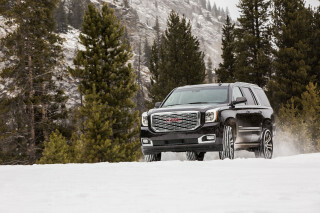 Under the hood, GM's 5.3-liter V-8 powers the Suburban is it does the Chevy Silverado, sending 355 hp and 383 lb-ft of torque through a 6-speed automatic to either the rear or all four wheels. 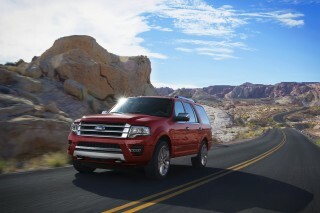 The Suburban accelerates strongly, and has plenty of power for freeway merging, long mountain climbs, and two-lane passing maneuvers. 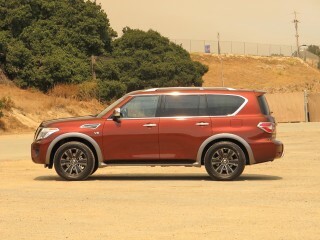 Gas mileage is acceptable given its ability, at up to 19 mpg combined. Electric power steering assists in improving fuel economy. Though often seen as dynamically inferior, the Suburban's electric power steering doesn't need to elicit sports car feedback. Instead, Chevrolet utilizes electric assist to provide effortless steering in this gargantuan SUV. The Suburban's rear suspension, like GM's pickups, uses a familiar leaf-spring design. Chevrolet also offers Magnetic Ride Control—which adds dampers filled with magnetic fluid for dynamically adjustable damping rates—on Premier models. When equipped, MRC combines a smooth, supple ride over pockmarked pavement with stoic body control in corners. That's not to bash the base suspension, which is mighty capable in its own right. But you can't break the laws of physics--and let's just say the Suburban has a lot of physics. The Suburban, when properly equipped, can tow 8,300 pounds. 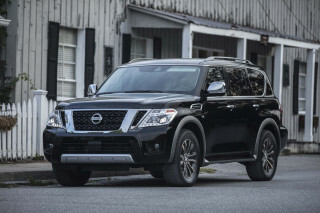 The Suburban rides atop a 130-inch wheelbase and exceeds 220-inches long overall, while the shorter Tahoe's wheelbase measures 116-inches long and its overall length is 204 inches. 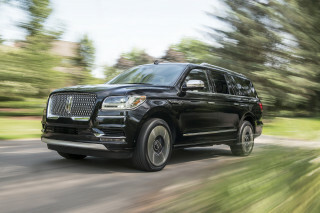 The Suburban's front passengers sit in wide, well-padded seats and are given what seems like acres of shoulder and leg room—though head room can seem oddly confining for a vehicle this big. Its second row offers swarms of leg and headroom. 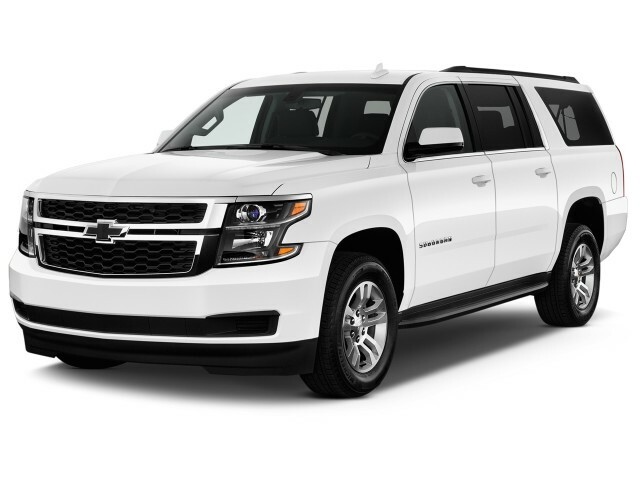 Depending on configuration--front buckets or bench, second-row bench or captain's chairs--the Suburban can seat between seven to nine passengers. Third-row seating is much better than in prior generations. Though more livable thanks to increased room, it's still best to put the kids back there instead of adults. The third-row seat now folds flat into the floor, and a power-folding version is available, but the folded seat raises the cargo floor, making it less useful than it could be. The Suburban also has lots of useful space for small item storage, including lots of cupholders and a center console bin big enough to swallow larger electronics, like a notebook computer or tablet. Safety credentials include GM's class-exclusive front-center airbag, which is offered on models with front bucket seats. Adaptive cruise control is an option, as are a lane-departure warning system with seat-mounted haptic alerts, blind-spot monitors, forward collision alerts, and front parking sensors. A head-up display relays key information into the driver's line of sight. The seat-mounted haptic driver alert system does a good job of getting the driver's attention, making it a boon to safety and driver awareness. 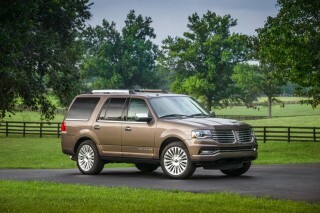 One side note, however, regarding traditional occupant safety: The federal government has separately tested a Suburban, and it didn't do quite as well as the Tahoe in frontal protection, or in the side pole test; both models add up to a four-star (out of five-star) overall rating, which cuts into its numeric rating here. 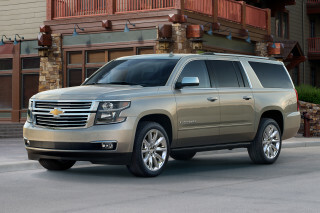 After a complete redesign in 2015, the Suburban gets only minor add-ons this year. They include teen-driving features like pre-set maximum speed limits; ventilated seats; a rear-seat entertainment system; and automatic emergency braking. Other available features include a Blu-ray DVD entertainment system, an 8.0-inch LCD touchscreen radio; Chevy MyLink connectivity with Apple CarPlay and Android Auto; a head-up display; keyless ignition; a power tailgate; a cargo-management system; up to six USB ports and six power outlets; and wheel sizes up to 22 inches.